Five local men are being questioned for allegedly hacking the websites of Singapore's president and prime minister, police said Tuesday, amid a rash of cyber attacks in the city-state. Police said in a statement the alleged hackers had "exploited a vulnerability" in both websites last week. A "subpage" of the website of the Istana, the official residence of President Tony Tan, was hacked and displayed a crude image early last Friday, an hour after Prime Minister Lee Hsien Loong's website displayed mocking messages from international activist hackers' group Anonymous. Police said the five suspects are local men aged between 17 and 45. 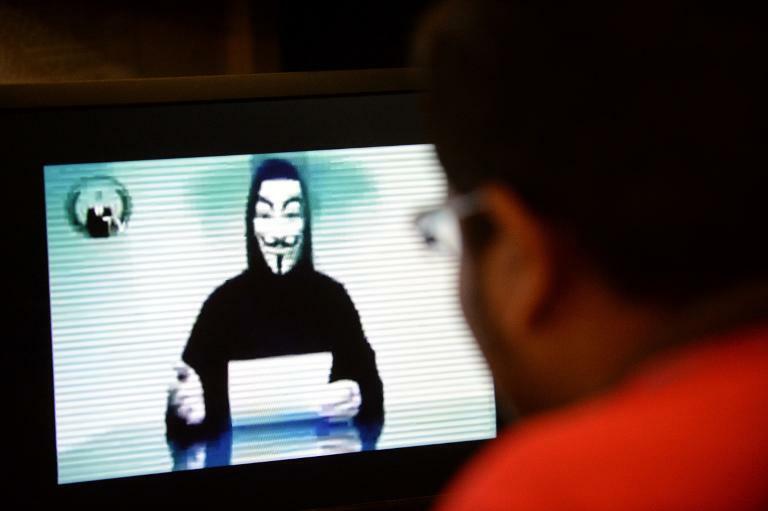 Another Singaporean, 35-year-old James Raj, was charged in court earlier Tuesday with hacking a local council's website and posting an image of a Guy Fawkes mask, the international symbol of Anonymous. Raj was charged with hacking into the website of the Ang Mo Kio town council, a district whose MPs include Premier Lee, on October 28, and posting the image. 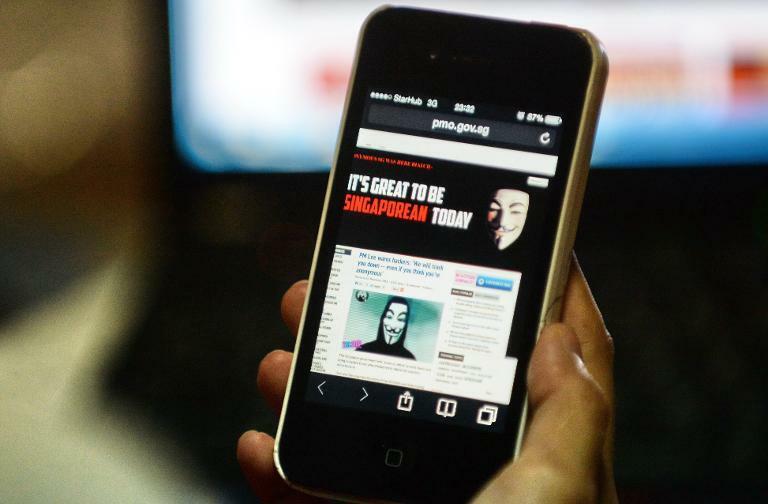 The hacking took place three days before a self-proclaimed spokesperson for Anonymous demanded in a video that Singapore scrap a law requiring news websites to obtain annual licences. The new Internet licensing rules came into force in June and have angered bloggers and activists who say they are designed to muzzle free expression. Singapore strictly regulates the traditional media, but insists the new licensing rules do not impinge on Internet freedom. A charge sheet seen by AFP says Raj identified himself as "The Messiah" and carried out the hacking from an apartment in Kuala Lumpur. The same moniker was used by someone who hacked a reporter's blog on the website of the pro-government Straits Times newspaper on November 1. Raj is also accused of posting a banner on the municipal website which said that one of its members of parliament was tendering his resignation. He faces a maximum fine of Sg$10,000 ($8,000) and imprisonment of up to three years, or both. District Judge Kessler Soh ordered Raj, who told investigators he suffered from attention deficit hyperactivity disorder, to undergo a two-week psychiatric evaluation despite protests from his lawyer M. Ravi. Police said Raj was also linked to a series of other hacking incidents, including penetrating the website of a charity group linked to the ruling People's Action Party. It said Raj and the hackers who allegedly defaced the president and prime minister's websites were not linked. In a separate statement on Tuesday evening, police said they were also questioning 15 Singaporeans for their alleged involvement on November 5 in a local edition of the "million mask" protest by Anonymous to commemorate Guy Fawkes Day. The individuals, aged between 16 and 27, had gathered in two different locations wearing red and black attire, and some wore the Guy Fawkes mask. Because the permit lacked a permit it was illegal, police said. Similiar events took place in Britain, Japan, Australia and New Zealand in an annual commemoration of the failed 1605 "Gunpowder Plot". In Singapore organisers of illegal protests face jail terms of up to six months or a fine of up to Sg$10,000 or both. Participants can be fined up to Sg$5,000. Prime Minister Lee last week warned that his government would "spare no effort" in going after Anonymous members, who threatened to wage a "cyber war" over the new Internet licensing rules.